Tom Price joined Quinton Edwards and Quintons Commercial in May 2012. He is a qualified Energy Assessor for non-domestic and domestic buildings and offers this service to our Garden Centre and Horticultural clients. 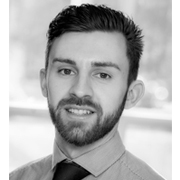 Tom is part of our Quintons Commercial Property department and assists Shane Prater with property management and commercial property sales and lettings.